This is a lossless scalable vector image. Base size: 810 × 540 pixels. special formation: five-point-stars, all upright, equally spaced on a central circle whose radius is one 3rd of the flag height (like the 12 hours on a circular clock); each star is regular and placed on a circle whose radius is one 18th of the flag height. The European flag was originally the flag of the Council of Europe, which is a different international organisation covering the whole Europe with 47 member states, including Turkey, Russia, and many others. However later the European flag became the common flag of the Council of Europe and the European Community which became European Union. The number of stars has nothing to do with the number of Member States. There are twelve stars because the number twelve is traditionally the symbol of perfection, completeness and unity. The flag therefore remains unchanged regardless of EU enlargements. 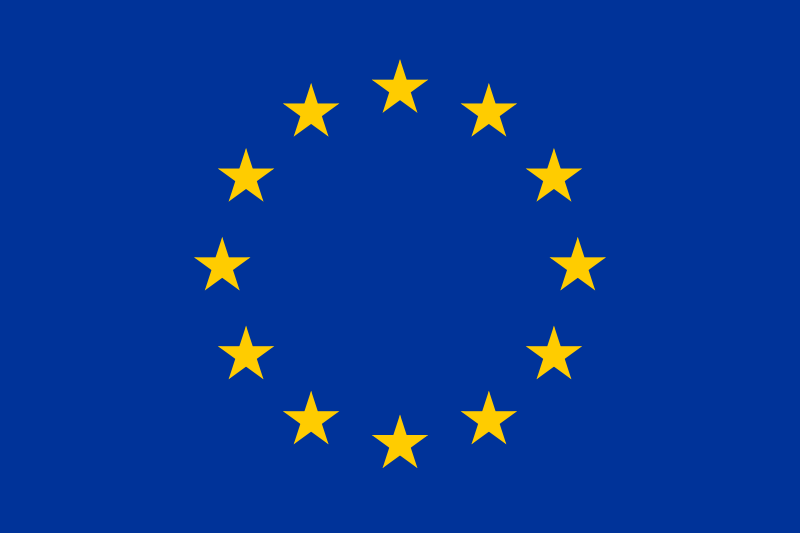 The Council of Europe owns the intellectual property of the European flag.